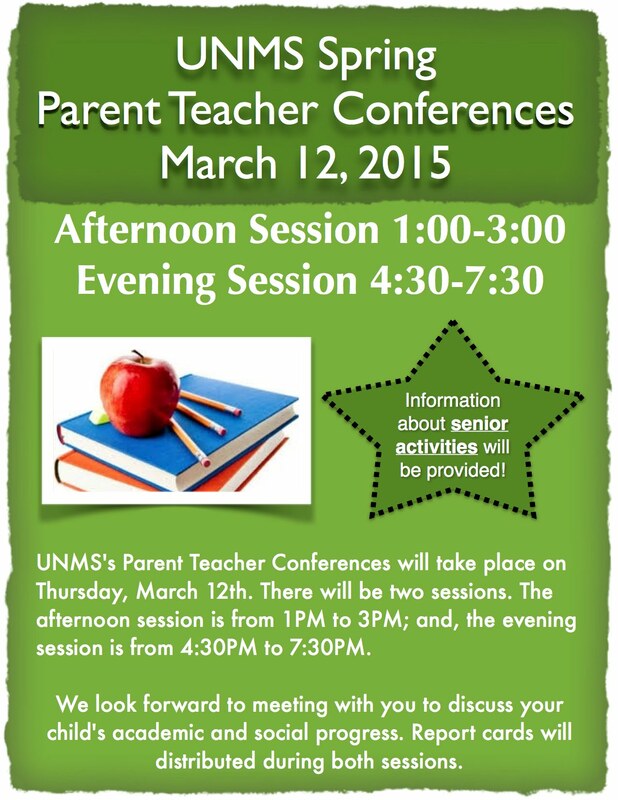 UNMS's Parent Teacher Conferences will take place on Thursday, March 12th. There will be two sessions. The afternoon session is from 1PM to 3PM; and, the evening session is from 4:30PM to 7:30PM.